Monday! What a week. It was so crazy around here and not in a good way. The boys were still sick and they stayed home from school all week. I love my kids, but go to school. Mommy needs a break. 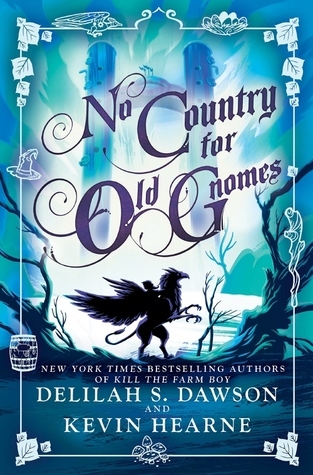 I think this weeks book is going to be No Country For Old Gnomes by Delilah S. Dawson. I absolutely loved the first book and can't wait to dive into this new installment. Its as hilarious as it looks so make sure you follow along on this epic adventure. Lets get on to the menu this week. I know that's what you all came here for. Enjoy!